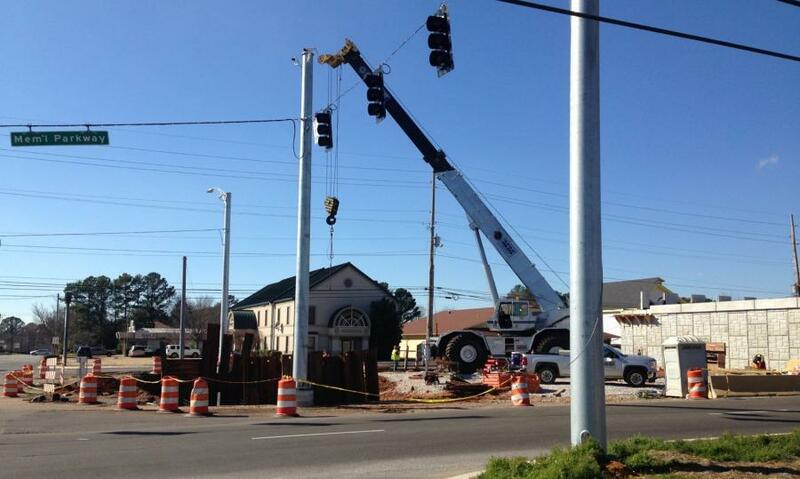 Crews work on the Byrd Spring intersection during Phase 1 of construction. A joint venture between Reed Contracting Services Inc. (road construction) and Miller & Miller Inc. (bridge construction) is taking on the $53.9 million, multi-year Alabama Department of Transportation (ALDOT) South Memorial Parkway (Alabama 53 / U.S. 231) expressway and frontage roads between Golf Road and Whitesburg Drive in Huntsville. 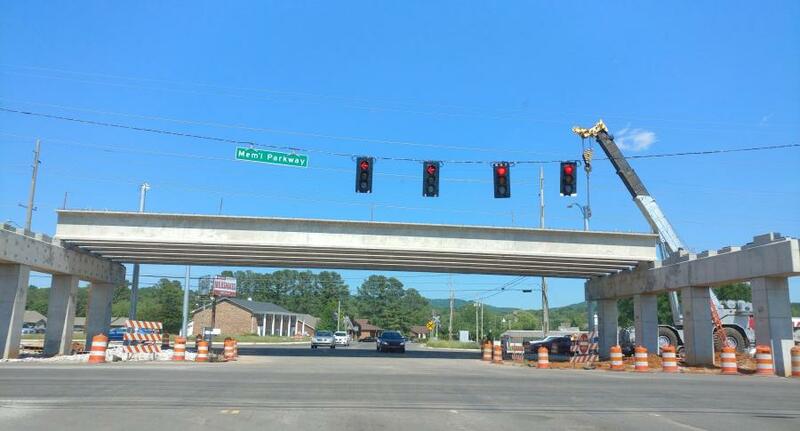 This project, which is ahead of schedule, is part of ALDOT and the city of Huntsville's five-year, $250-million joint-funding agreement for road and bridge infrastructure upgrades in the city. The Memorial Parkway (U.S. 231) runs through the heart of Huntsville in Madison County. The traffic using these roads and bridges is considerable. In 2015, the parkway had an average of 64,020 vehicles daily just north of Lily Flagg Road. The project includes the replacement of the Martin Road Bridge over U.S. 231 and the construction of U.S. 231 mainline, a four-lane highway with overpasses at Byrd Spring Road and Logan Drive/Lily Flagg Road, two-lane frontage/service roads on either side and interchanges between the overpasses along this 1.5-mi. stretch. A major challenge for the project was limiting impacts on commuters as well as residents and businesses in the area. One way of doing this was to condense the timeline for construction, Burkett said. Also, the contract for the JV partners provides a total of $5 million in incentives for early completion or disincentives for late completion. The service roads and Martin Road bridge have been completed and are open to traffic, and work is well underway on the overpasses and mainline. A section of the mainline under Martin Road was opened in July to allow traffic to bypass the Martin Road intersection for the remainder of the construction. “ALDOT and the contractors have worked very closely with city officials, local businesses, community groups and the media to make motorists aware of traffic changes,” said Burkett, “and to find solutions to reduce delays and impacts on businesses. One example of this is the Benaroya Connector, constructed by Reed under a separate contract with the city, which provided alternate access to a business district as well as an alternate route for traffic leaving the arsenal. Another, is the early opening of the portion of the mainline under Martin Road, which originally would not have opened until all overpasses were complete. The infrastructure for the ongoing work was designed by outside consultants. ALDOT is doing all it can to minimize the impact on local traffic and businesses. “Whenever possible, two lanes in each direction were kept open,” said Burkett. The Phase 2 portion of the work also will be completed early. 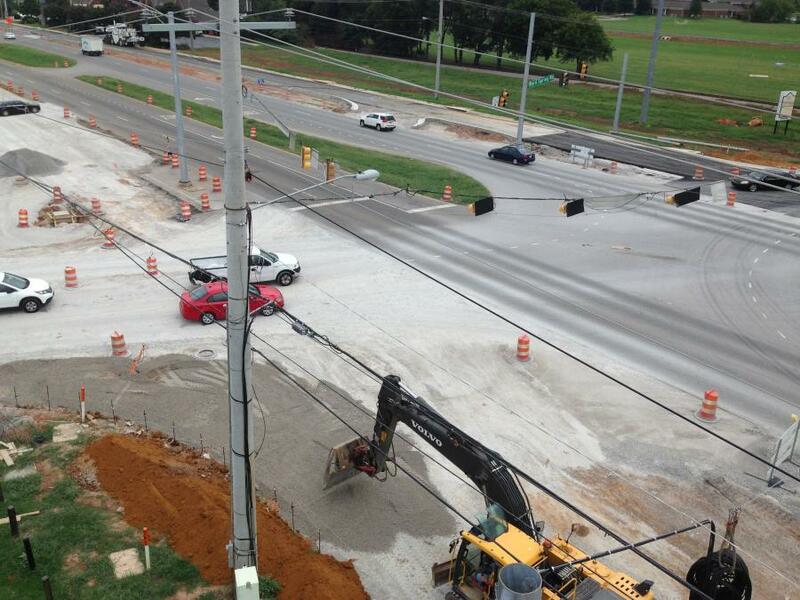 Construction on Phase 1 — Memorial Parkway service roads (two-lane) and new bridges, and a wider elevated intersection on Martin Rd —began on Dec. 2, 2015 and was completed in August, more than three months ahead of its Dec. 1 deadline. Phase 2 work — the Memorial Parkway mainline (four-lane and overpass at Byrd Spring Road and Logan Drive/Lily Flagg Road — is due to be complete by June 1, 2019, but all major work items may be complete as early as summer 2018. The major challenges for the work involved relocating multiple utilities within very limited right-of-way, maintaining business turnouts and/or side streets during their installation and coordination/communication between multiple stakeholders. The project managers for the joint-venture, have been on top of all of the issues and challenges, and they and their management team and crews have overcome them through solid planning and lessons learned from previous projects. The work is being done mainly by day, with some night work. Some of the major subcontractors are: ABC Cutting Contractors; Alabama Guardrail; McCord Construction; Concrete Builders Inc.; Gilley Construction Inc.; Ozark Safety Services Inc.; Seaboard Foundations Inc.; Shoals Electric Inc.; Sloan Utility Contracting Inc.; and Surface Preparation Technologies Inc. The joint-venture anticipates that it shall remove 61,038 cu. yds. of unclassified excavation, 293,147 cu. yds. of borrow excavation, 14,552 cu. yds. of structure excavation and 1,872 cu. yds. of unclassified bridge excavation. The new materials being used include 84,111 tons of asphalt, 1.2 million, lbs. 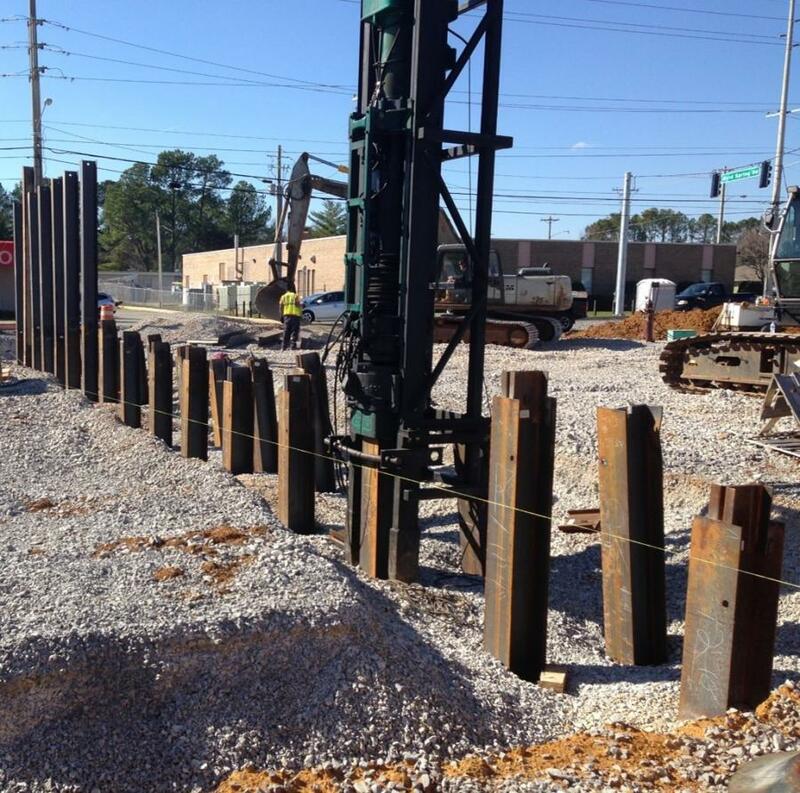 of steel reinforcement, 52,516 ft. of steel piling, 78,711 lbs. of structural steel, 6,036 cu. yds. of concrete and 141,200 sq. ft. of MSE (mechanically stabilized earth) wall.